It’s Friday again, so that means a new challenge at Just Add Ink. Kim is this weeks hostess and she has come up with this yummy colour challenge. How gorgeous are these colours together? I’m really loving Summer Starfruit at the moment – who would’ve thought I’d actually like yellow? Head over to Just Add Ink and check out the gorgeous cards the girls have created this week – you’re going to love them! Elegant card. I love the gray and yellow together. 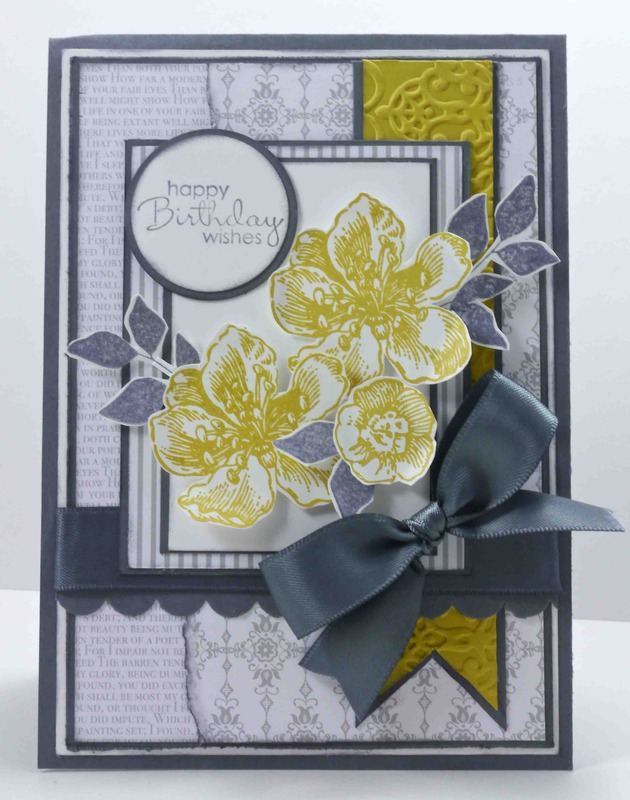 As usual another beautiful card, love your layering and those bold Summer Starfruit flowers and that lovely satin grey ribbon just add such elegance. Gorgeous card. 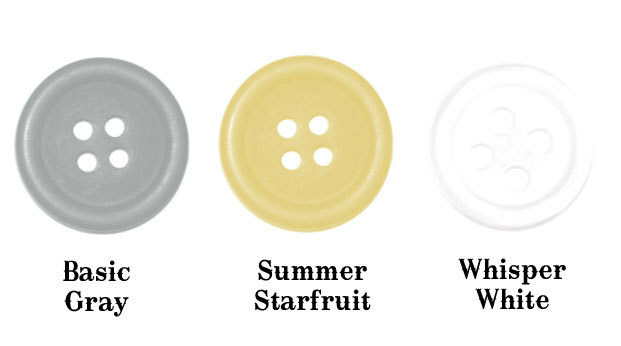 I have yet to use Summer Starfruit….but your combo with grey makes me want to get a sheet out and create something with it! Really beautiful Narelle ,the colours are great together and make me want to have a go myself. This is so gorgeous Narelle. Love the pop of starfruit with the embossed banner and the flowers and ribbon are just beautiful. Great card!